The ACCC in December released a draft report from its inquiry, which focused in particular on the impact of Google and Facebook. The competition regulator has revealed that at least five investigations have been launched as a result of its work. The ACCC’s preliminary recommendations would represent a major shakeup of the digital landscape; for example, forcing Google to offer a choice of browsers and search engines on Android devices. The ACCC recently published the submissions it received in response to a 2018 issues paper. Among them are two from Oracle, both dedicated to attacking Google. One focuses on the collection of location data through Android. In it, Oracle claims (PDF) that Google makes it “extremely difficult” to turn location-related services off in Android. Contrary to the Android-maker’s claims, Google Location Services are effectively “opt-out” on the mobile platform, Oracle argues. A second submission from Oracle (PDF) appears to be an 89-page PowerPoint presentation that argues Google “controls the advertising ecosystem through its dominant ‘ad tech’ stack” and that Android is a “data collection ‘service,’ not a mobile OS”. 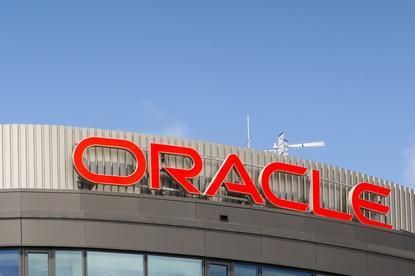 “Augmenting its data scale and diversity advantage insulates Google from competition in advertising and other services, [and] increases its market shares and profitability,” Oracle argues. Oracle warned that Google was set to extend its desktop and mobile dominance to the “third screen” — with television being “Google’s last growth ad market”. According to figures compiled by the ACCC, every month around 19 million Australians use Google Search, and 17 million watch videos on YouTube (which is owned by Google). Some 17 million access Facebook, and 11 million use Instagram. The ACCC found that Google “has substantial market power” when it comes to search, online search advertising, and news media referral. Similarly it concluded that Facebook has substantial market power in the areas of social media services, display advertising, and news media referral services. Google has already publicly begun pushing back against one of the major preliminary recommendations made by the ACCC, that the government create an ‘algorithm’ cop to address the lack of transparency of digital companies over ranking and the risk that they may favour their own services in search results, for example.